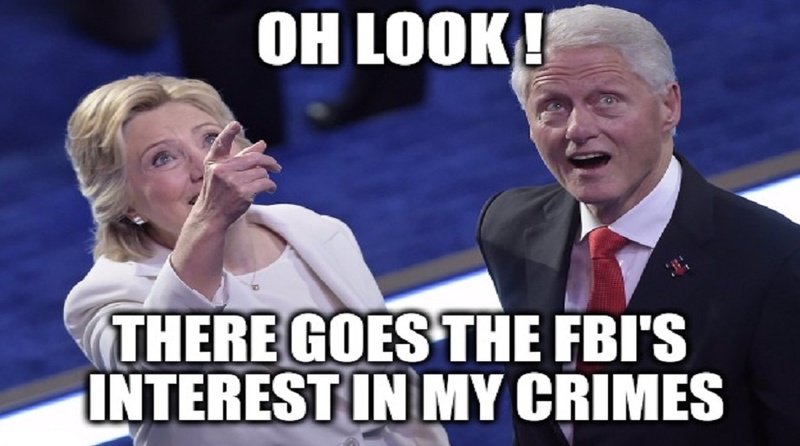 While the Federal Bureau of Investigation (FBI) failed to recommend an indictment of presidential hopeful Hillary Clinton, their investigation when compared with her sworn testimony before two House of Representatives committees reveals overwhelming evidence of a criminal act. While testifying under oath before the U.S. Congress, former Secretary of State Hillary Clinton answers were found to be “incompatible with evidence collected” with the FBI’s investigation into her use of a private Internet server. She allegedly committed perjury. On Monday, the chairman of the House Judiciary Committee, Rep. Bob Goodlatte, R-Virginia, and the Oversight and Government Reform Committee chairman, Jason Chaffetz, R-Utah, sent a letter to Channing Phillips, the U.S. Attorney for the District of Columbia . The letter contained an official referral for Phillips’ office to investigate Clinton on allegations of perjury. The letter to Phillips states: “The evidence collected by the Federal Bureau of Investigation during its investigation of Secretary Clinton’s use of a personal email system during her time as Secretary of State appears to directly contradict several aspects of her sworn testimony, which are described in greater detail below. During a House Select Committee on Benghazi hearing on Oct. 22, 2015, Secretary Clinton testified with respect to (1) whether she sent or received emails that were marked classified at the time; (2) whether her attorneys reviewed each of the emails on her personal email system; (3) whether there was one, or more servers that stored work-related emails during her time as Secretary of State; and (4) whether she provided all her work-related emails to the Department of State. Also, the Office of the Inspector General at the U.S. State Department’s following what it claims was an extensive probe has released to federal lawmakers and other interested parties a “highly critical analysis” of former Secretary of State Hillary Clinton’s communications security practices while she headed the department. The report, which was released on Wednesday, alleges that she failed to seek legal approval for her use of a private email server and her hiring of a private Internet company to maintain the server. 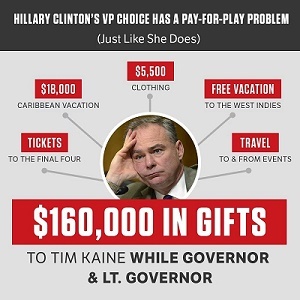 The report also states that upper-echelon State Department staff would never have given their blessing due to the obvious “security risks in doing so, while Mrs. Clinton refused to cooperate with her own department’s OIG. Inspector General Steve Linick, in a supposed non-partisan review — Linick is a Democrat — reports that presidential hopeful Hillary Clinton’s use of private email for government business was “not an appropriate method” of operation. Her practices failed to comply with departmental policies and procedures that are aimed at ensuring that federal record laws are followed. The report also points to classified information — intelligence — not being properly protected. The Clinton campaign when answering questions about the email scandal, which is an offshoot of the Benghazi scandal, often claim that Republican heads of the State Department, especially Condoleezza Rice and Colin Powell, did the same as Clinton and suffered no condemnation. “The Democratic Party defenders behave like children arguing in the schoolyard: they excuse the bad behavior of Democrats by pointing to someone else’s bad behavior. Their strategy is to change the public conversation which isn’t difficult to do when the news media are colluding with the Democrats and Hillary Clinton’s campaign,” said former political strategist and prosecuting attorney Michael Baker. “Read or listen to any news story about this issue and you will rarely — if ever — see or hear the words liar, lies, deceit, fabrication, canard or other term that describes dishonesty,” Baker noted. 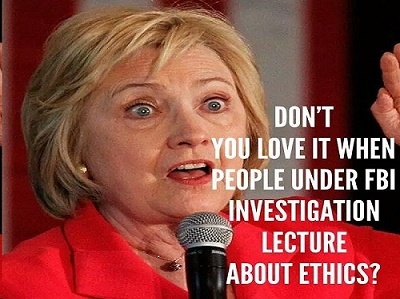 While Mrs. Clinton has told Americans that she and her staff fully cooperated with Inspector General Steve Linick’s probe of her private, non-secured Internet server, Linick’s report indicates that Clinton and several of her staff members during her tenure — Cheryl Mills, Huma Abedin and others — declined to be interviewed by the Inspector General’s investigators. The report found that a top Clinton aide was warned in 2010 that the system may not properly preserve records but dismissed those worries, indicating that the system passed legal muster. But the inspector general said there is no evidence of a review by any State Department attorney. However, Clinton mouthpiece David Kendall did possess a “thumb drive” that supposedly contained classified information, but Kendall is a known Clinton minion going back to the days of MonicaGate. In a report dated July 23, 2013, the IG stops short of saying that the State Department avoids taking steps to address IT security. The report maintains, however, that its Office of Information Assurance’s lack of leadership creates confusion among department personnel on IT security requirements and guidance they must follow. “[The office] is not doing enough and is potentially leaving department systems vulnerable,” Harold Geisel, deputy inspector general, writes in the 35-page report. “[The office] has conceded that other department elements have a greater role in information security, diminishing the relevance of [the office].” Clinton left the State Department on Feb. 1, 2013, but she was never held responsible for the deficiencies and failures such as the Battle of Benghazi. OIG report states: “According to the staff member, the Director stated that the Secretary’s personal system had been reviewed and approved by Department legal staff and that the matter was not to be discussed any further.” But the OIG report reveals that officials from the Under Secretary for Management and the Office of the Legal Adviser found no proof of any written approval or that a review was conducted by other State Department staff of the Clinton private server.